Respectfully, there are some issues which may be legitimate concerns, but which are not really directly related to this initiative. The quality of job posts isn't really what this freelancer screening initiative is about, as the original poster already pointed out. Irene: Farming is clearly a concern of yours. Is it something that Upwork should do something about? It it something that is banned or should be banned? These may be legitimate, unanswered questions, but I think the topic would need to be addressed in a separate thread. re: "From where I come from, countless individuals want to work online... but have no idea how it works or what to offer." That is the point of this initiative. To try to put some kind of sensible controlled sanity check on the flood of would-be contractors who are attracted to Upwork but have no idea of how it works and who have nothing to offer. Countless people from Maria's country want to work online. That doesn't mean they should be on Upwork. 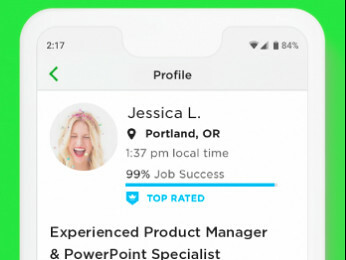 Especially when establishing a profile on Upwork will be of no benefit to Upwork, to its clients, or to the unqualified contractors themselves. I think this is a great idea. Personally, I don't think it's possible to succeed in creating a platform where "everyone" can try to make it work. I think Job Success Scores were born out of the fact that this platform has so many inexperienced or not qualified freelancers trying to fit a square peg into a round hole. Just like with any other job, you have to be qualified to do the work. I have been a Director of HR and I would literally have pulled my hair out if I had to go through piles of resumes of people without any experience, whatsoever, in the job I posted. I have seen jobs, posted in my category, where every single person who applied was not qualified to do the work. This is not a good experience for a client and if I saw that, I would never come back. Clients expect to see qualified freelancers applying for their jobs. I have seen many qualified freelancers post on the forum that they can't get hired because there are hundreds of proposals. Their proposal may never have even been seen because there are so many to go though. If this was my site, I would even consider hiring a small team to interview every person who tries to work on this platform. It simply can't be open to whoever wants to work here. It's not any different from a job - you have to be qualified and many people are not and look at this as a possible "get rich quick scheme". Freelancers who work here should absolutely be able to be hired into an equivalent job in the brick and mortar world. This platform is a choice of HOW and WHERE to work ...to not be tied down to a 9-5 job - not a "I can't get a job anywhere else so I'll say I have these skills and try to work online". I agree with everything you've said, Jessica. The only problem is that I have zero faith in the ability of Upwork to use algorithms to have anything like the sensitivity or specificity needed to sort potential applicants effectively and fairly, Promising, qualified people would be booted off before even getting a chance; while others with zero skills and potential would be let through. Sorry to be so negative and untrusting of it, but it's the big smelly elephant in the room - the algorithms Upwork uses are not up to the job for something as critical as this..
Ok, I agree with this. Upwork needs to take a good idea, and do it RIGHT. I think there will be people with minimal experience but great education, good skills, and determination to do great work who would fit well into entry level jobs - just like they would in the brick and mortar world. I do think this can be a good place for someone like that to get started, without having to get a physical job first. So yes, it would be a shame to see those people cut. And there will be people who lie and say they have a ton of skills and experience who pass through the algorithms when they don't have skills that would work well here.. That's why I think a small team of interviewers would be a good idea. I also dont trust Upwork algorithms, considering I get recommended jobs as things like .....medical transcriptionist, so yes, the idea is good but the execution will likely fail. It really is marvellous to see so much being done to make sure that only qualified freelancers will be able to apply to RFPs. 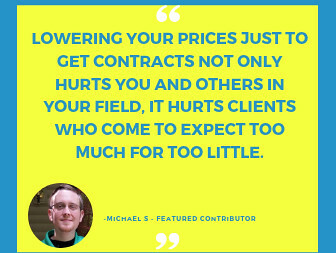 Clients will never again have to sort through hundreds of proposals and they will be able to pay market rates to get their projects done by professionals. No more bargain hunters. Hurra! If I have to expound,as an Industry and HR Consultant, I have a few things to say. Action is the best policy. When I saw a Job Post for Technical Recruiter (for upwork), I applied, even for some part time available hours. I figured if I intend to stay in Upwork in the future, either on the supply and demand side, improving quality is a set of standards at work. I know what you mean. But when the crunch turns into a punch, everyone needs to eat! Say All! I would like to see a similar if not much stricter policy enacted for screening new clients on this site. There are so many scam jobs and lowball projects these days that I'm lucky to find even one decent job prospect to apply for in a week or more. "I need five meme images created today from stock photographs that the freelancer will pay for. My budget is $20." "For $50, I want letterhead, business cards, flyers, a rack card, and a website--by tomorrow." "Prove you're the best by sending me two finished mockups of my project and THEN I'll pick the best person for the job." Invites are even worse -- I've had a total of 1 "invite" that was suited to my skills and experience that turned into a real job, out of hundreds of others that were completely irrelevant. The quality of the jobs available has to improve. So much more screening is needed. Why are you spending time and effort on limiting new freelancers before you fix these ongoing, critical issues? ....Why are you spending time and effort on limiting new freelancers before you fix these ongoing, critical issues? Because supply exceeds demand, which is an explicit criterion they will apply to particular skill markets. Because Upwork cannot move upmarket in the online work world without reinforcing its credibility as a supplier of credible contractors. And it's really not either/or. 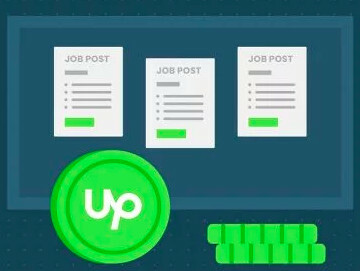 Upwork has ongoing programs to promote good faith and successful outcomes. We generally only see their actions in the contractor realm. And yes, Upwork will probably always start with giving clients the benefit of the doubt, because it can't afford to turn away money. The best freelancers aren't going to stick around if the jobs don't improve - and it has been a very steady and measurable decline over the last year.